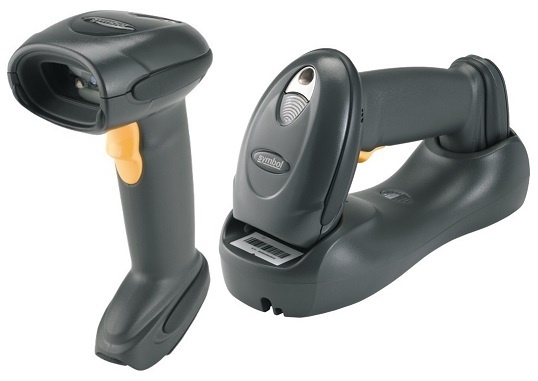 Zebra DS6878 handheld scanner from Zebra is the ideal solution for applications at the POS, in gastronomy and office automation that place high requirements on the scanning performance of an imager and nevertheless require the power and ergonomics of a laser scanner. The combination of the new scan engine SE4500 and powerful microprocessor guarantees high-quality scanning of 1D and 2D codes, signatures, as well as documents. Entire images are scanned completely and transmitted directly in high resolution to the application. Bar codes, even with bad quality, are scanned omnidirectionally from every angle information is even scanned from a display and transmitted via the powerful Bluetooth interface in a split second. The Bluetooth Class 1, V2.1 guarantees up to 100 m operating range, which greatly increases the flexibility and range of applications. The cradle included in the scope of delivery provides the connection and charges the device, all data is transmitted and the imager is charged via USB interface.